There are two things that make up the universe – energy and matter, this is based on a scientific fact. Everything living has a bio-electric field. This life force/electro-magnetic energy flows through us in our pathways called Meridians and Nadis and our energy centres called chakras. It also radiates around us in our human energy field called or Aura. The ‘Life Force Energy’ nourishes every cell and organ in our bodies. When this flow is disrupted, it becomes blocked and can affect us mentally, physically, emotionally and spiritually resulting is a dis-ease of the body and leading to ill health. Reiki works by balancing an individual’s energy systems to promote the body’s own natural ability to heal creating balance and harmony to the whole body, mind and soul. It is a non-invasive therapy which aims to treat holistically and to restore homeostasis (whole-body balance). 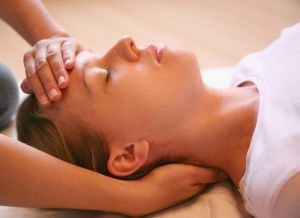 Reiki energy has several basic effects: it brings about deep relaxation, assists in the release of energy blockages, and increases the vibrational frequency of the body to provide new vitality. On each visit we will discuss the areas you wish to receive healing for. The client remains fully clothed and the therapist will gently lay hands on or hover over different points of the body. Promotes deep relaxation reducing anxiety, stress and tension. Improves circulation and aids the removal of toxins. Remove energy blockages and adjust the energy flow, bringing the body into balance and harmony. Improves overall wellbeing of mind, body and spirit. Can sedate or stimulate the nervous system. 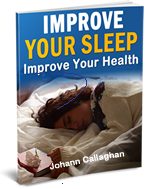 Aids sleep, improving your energy levels, your focus & clarity of mind. Promotes self-esteem, empowerment and an awarness of your body. Increases the vibrational frequency of the body to provide new vitality allowing you to receive positive energy. Helps with physical illnesses, issues or situations, aswell as release any mental and emotional blockages, that may be holding you back in any aspect of your life. Self-healing at all levels, physical, emotional, mental and spiritual. Fears and additiction and negative self talk.